The Many Benefits of Baby Classes - The Baby Diaries - A simple baby routine and milestone app that keeps track of baby's sleep, feed, change times, milestone achievements and photos all on your smartphone, iPad or iPod! As a new parent, the first 6 months can be a little daunting. The sleepless nights, learning how to care for your little one’s ever changing needs and of course the adjustments in your house after welcoming a new family member. Once the 6 month mark hits, many new Mums seem to have found their groove and bubs have settled into some sort of routine. For others it may take a little longer…after all each baby is different. This is the time that I introduced my little ones to group classes and started getting out and about a lot more. I still have fond memories of the very first class my daughter and I took together. He is now 6 and we love to sing the welcome song “Hello everyone, hello everyone how are you today….” whenever we drive past the class sign. I always looked forward to our sessions together and we had so much fun! There are so many benefits of attending group classes. Of course there are the physical development aspects such as gross motor skills, cognitive development, visual tracking and just as importantly the social aspect for both Mum and bub. Group classes are great fun and a special bonding time, with no distractions such as mobile phones and of course housework! There are so many Mum and Bub classes on offer. Most classes offer a free trial so you can see which one best suits you and your little one. Most swim schools commence baby swim lessons from around 6 months. My kids all loved the water at a young age. 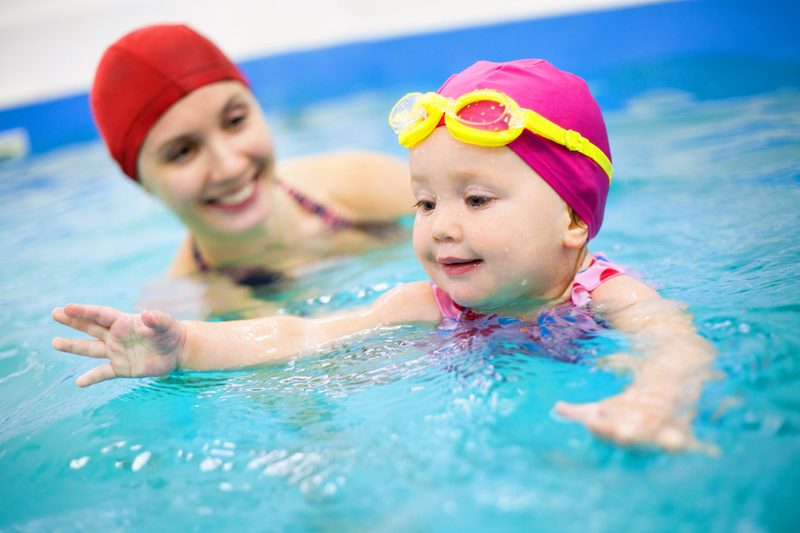 Classes are aimed at introducing water safety and building confidence in the water. Babies and toddlers are also introduced to taking turns, following instructions and are given the chance to socialize and meet new friends. Baby Gym and Baby Sensory classes such as Baby Sensory and Gymbaroo/Kindyroo/Babyroo are a fun group class for both Mum and Bub. The classes include aspects such as music and singing, movement and vestibular stimulation, tummy time, massage, rolling and age appropriate sensory play and development exercises focusing on all areas of development such as vision, hearing, movement and touch. I was given some great ideas from these classes, which we continued at home with the kids when they were little. BabyGym was one of my favorite classes to do with my little ones. 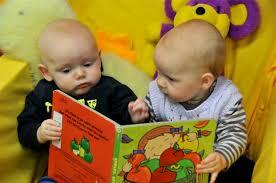 Most local libraries offer Baby Rhyme time classes at no cost to members. It is a great way to meet new Mums and bubs and enjoy some one on one time with your little one. Classes are normally 30 mins and include some fun rhymes and stories. 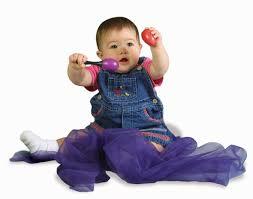 They are normally upbeat and fun so that your little one will be kept entertained for the session. What little one doesn’t enjoy music? Group music classes are fun way to spend some quality Mum and Bub time. Classes such as Kindermusik and Mainly Music are great at introducing your child to music and movement and are lots of fun. Mainly music classes offer morning tea afterwards, which is a great opportunity to meet families with children of a similar age. Playgroup is a great way to meet other parents in your local area. My oldest is in Primary School now, however we still catch up with some of our friends from Playgroup on a regular basis. We have so much in common and it is great to get advice from friends with children of a similar age. The kids love playing together too! Some playgroups are informal, others are more structured…generally if you try a few in your area you will find that one will really suit you and your family. It is a great social class for both Mum and bub. 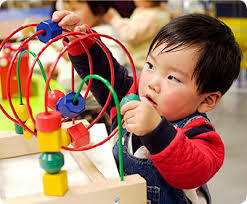 Little ones will be introduced to sharing, turn taking and will enjoy exploring new toys, songs and when a bit older crafts. If you haven’t started any group classes with your Little One, I urge you to give it a try. There are classes that suit all budgets and schedules. You and your bub will learn new skills, meet new friends and most importantly have a lot of fun! Enjoy the special times you spend together with your little ones there! Elise Easdown is a busy mum of three little ones who loves getting out and about around Australia. She is the owner of the award winning business What’s On 4 Australia, which helps parents find local events, things to do and party services.